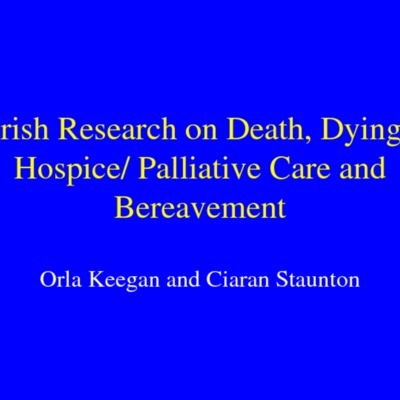 Documents outlining the research development activities and goals of the Irish Hospice Foundation from 2000. 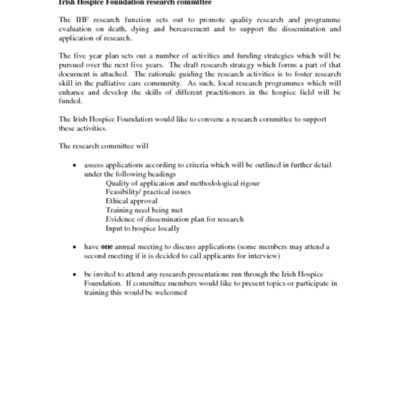 This includes the work to develop a postgraduate Bereavement Studies programme and the expansion of research fellowships and funded research in conjunction with other organisations like the Health Research Board. 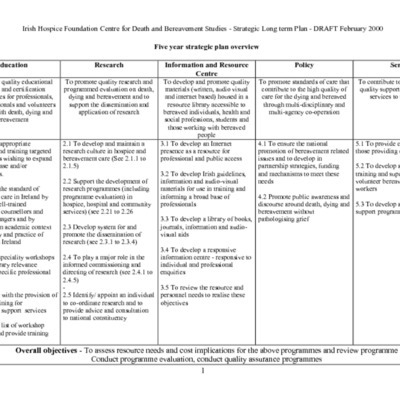 Draft copy of Irish Hospice Foundation Centre for Death and Bereavement Studies, Strategic Long term Plan from February 2000, outlining the plan for the upcoming five years. 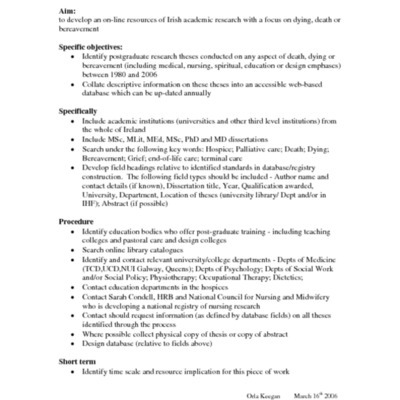 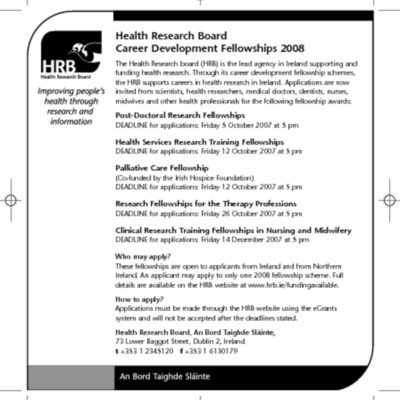 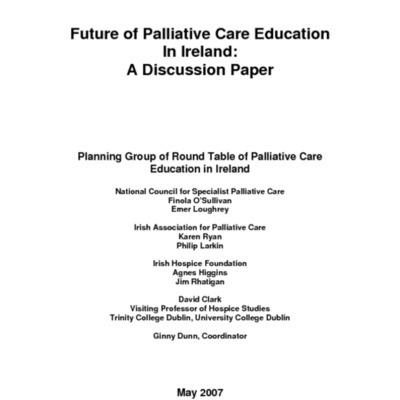 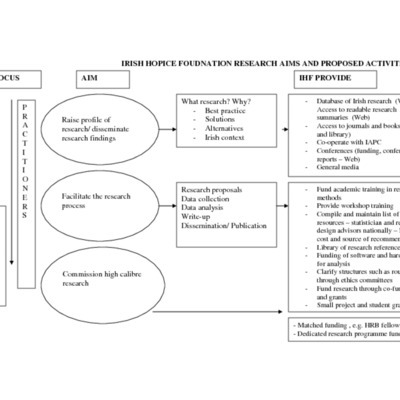 Proposal for the development of Irish Hospice Foundation Research Data Base, 2006. 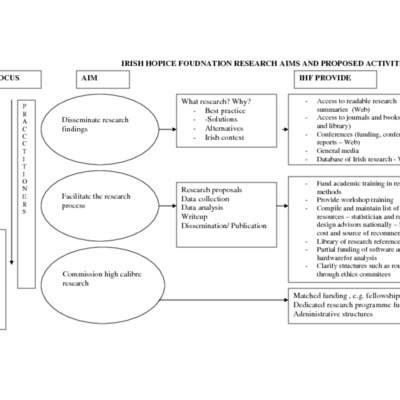 Copy of the proposal for the development of Irish Hospice Foundation Research Data Base, 2006. 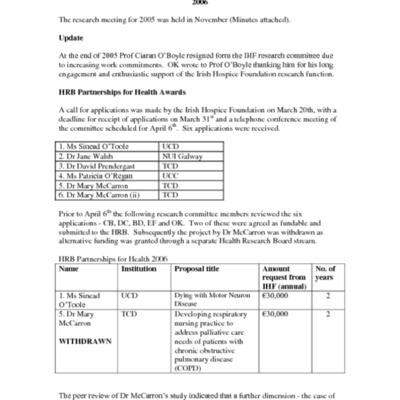 Minutes from the 2005 Irish Hospice Foundation Research Committee meeting concerning the allocation of grants. 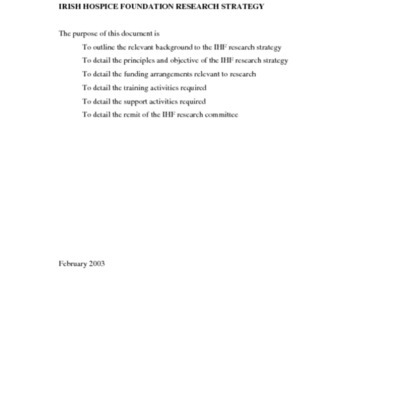 Irish Hospice Foundation, Research Strategy, 2003.